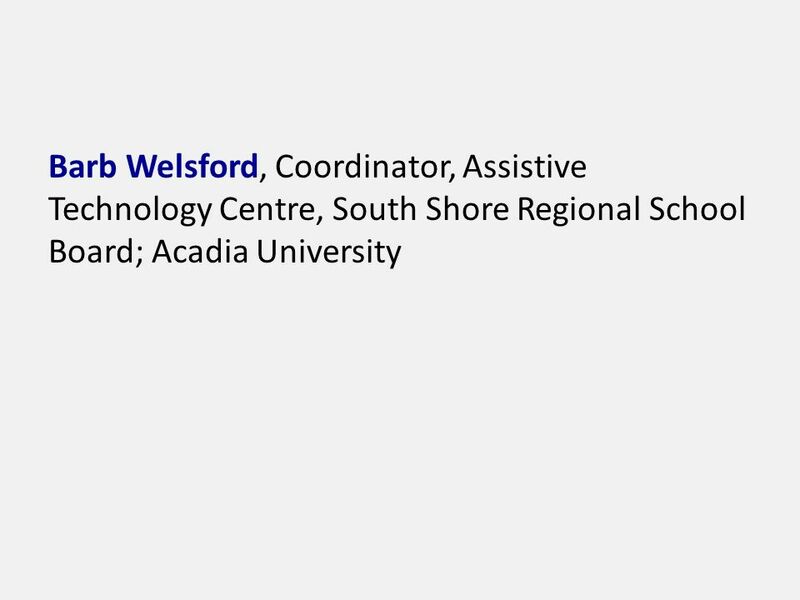 Assistive Technology: Exploring the Experiences & Perspectives of Canadian Post-Secondary Institutions 2010 Bridges to Learning Conference May 14-15, 2010. 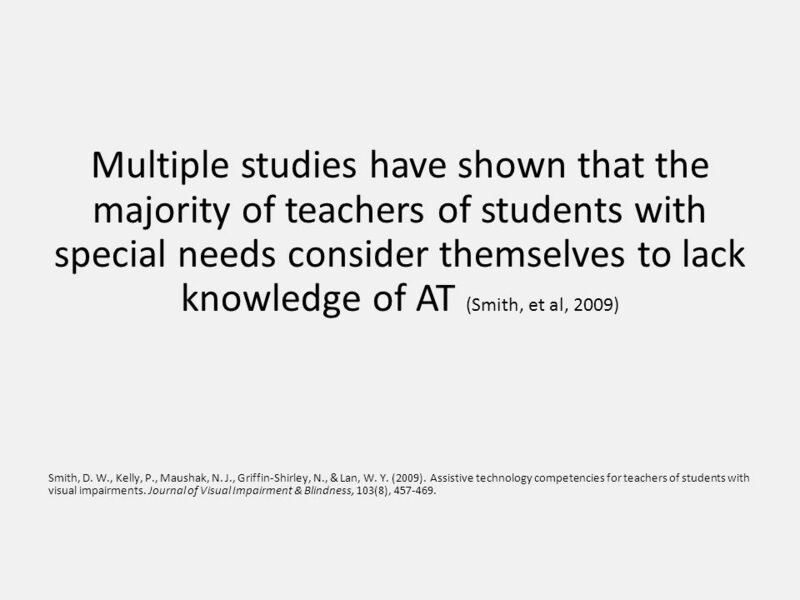 7 Multiple studies have shown that the majority of teachers of students with special needs consider themselves to lack knowledge of AT (Smith, et al, 2009) Smith, D. W., Kelly, P., Maushak, N. J., Griffin-Shirley, N., & Lan, W. Y. (2009). 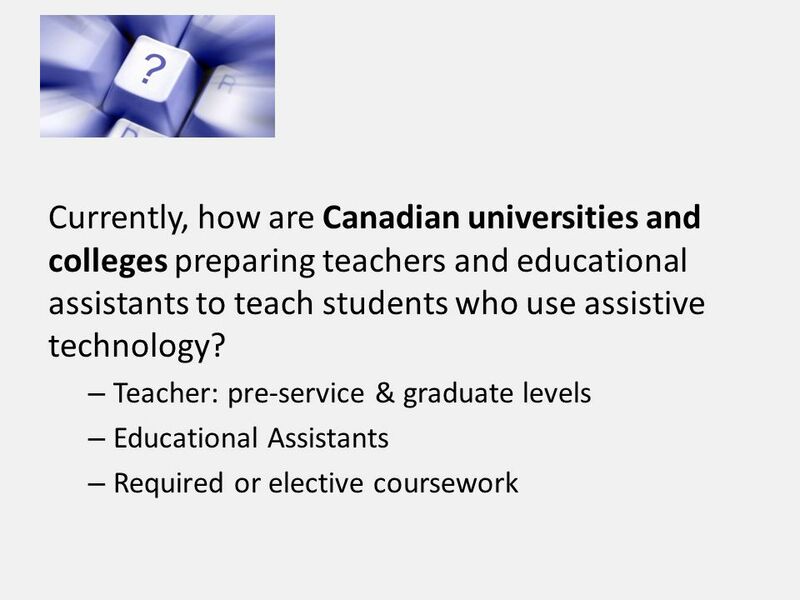 Assistive technology competencies for teachers of students with visual impairments. 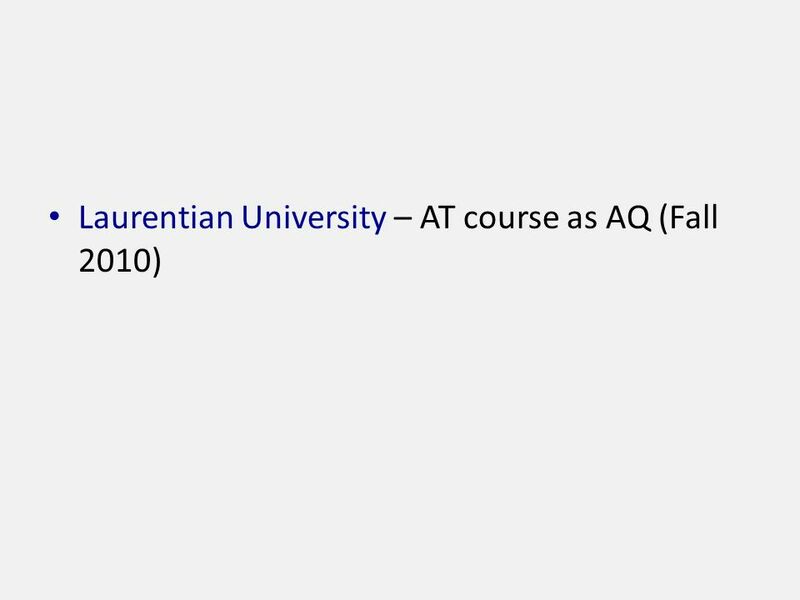 Journal of Visual Impairment & Blindness, 103(8), 457-469. 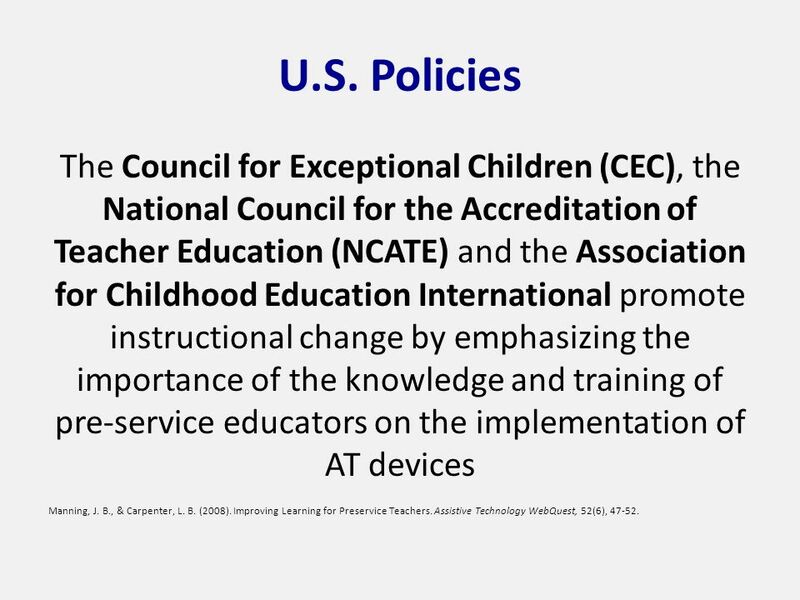 9 U.S. Policies The Council for Exceptional Children (CEC), the National Council for the Accreditation of Teacher Education (NCATE) and the Association for Childhood Education International promote instructional change by emphasizing the importance of the knowledge and training of pre-service educators on the implementation of AT devices Manning, J. B., & Carpenter, L. B. (2008). 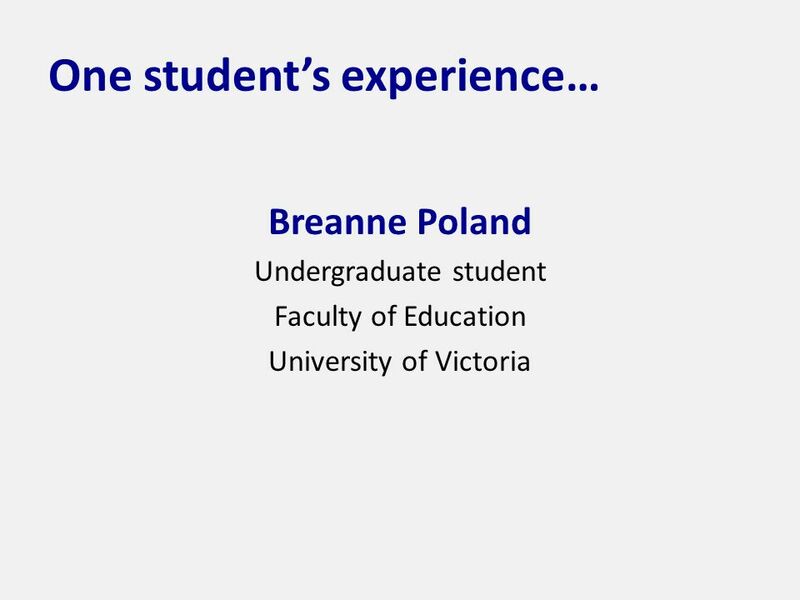 Improving Learning for Preservice Teachers. 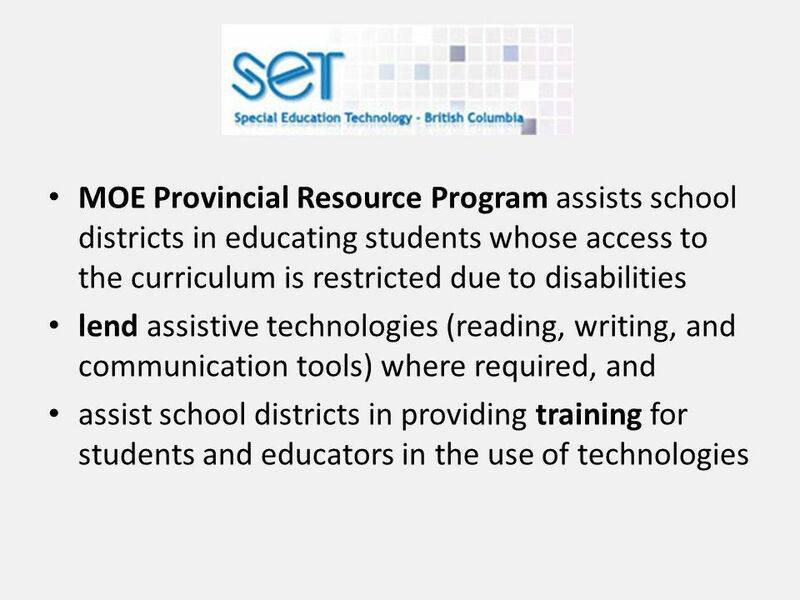 Assistive Technology WebQuest, 52(6), 47-52. 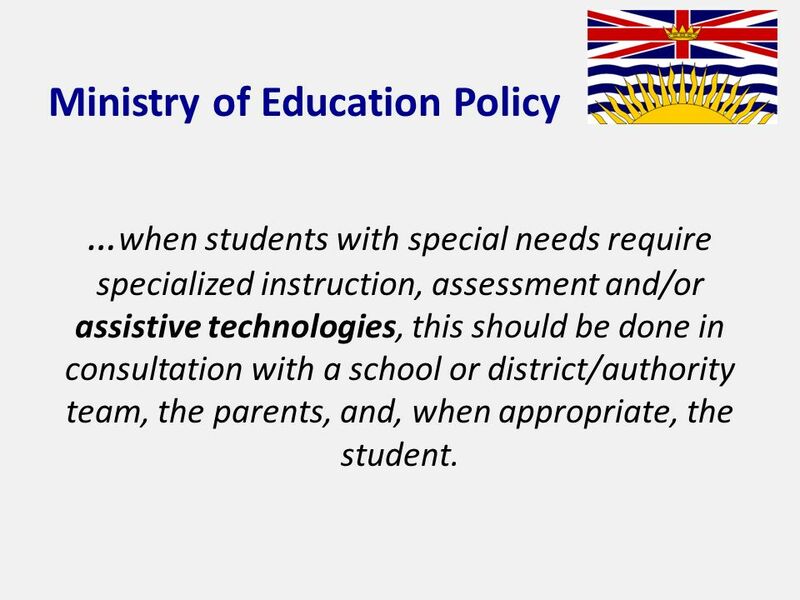 10 Ministry of Education Policy … when students with special needs require specialized instruction, assessment and/or assistive technologies, this should be done in consultation with a school or district/authority team, the parents, and, when appropriate, the student. 25 What are your experiences? 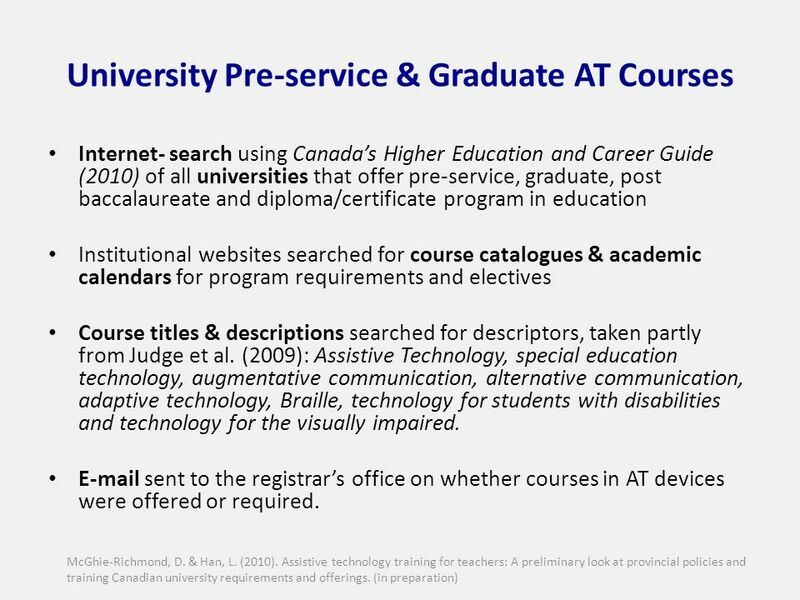 Are post-secondary AT courses offered by your jurisdiction? By whom? 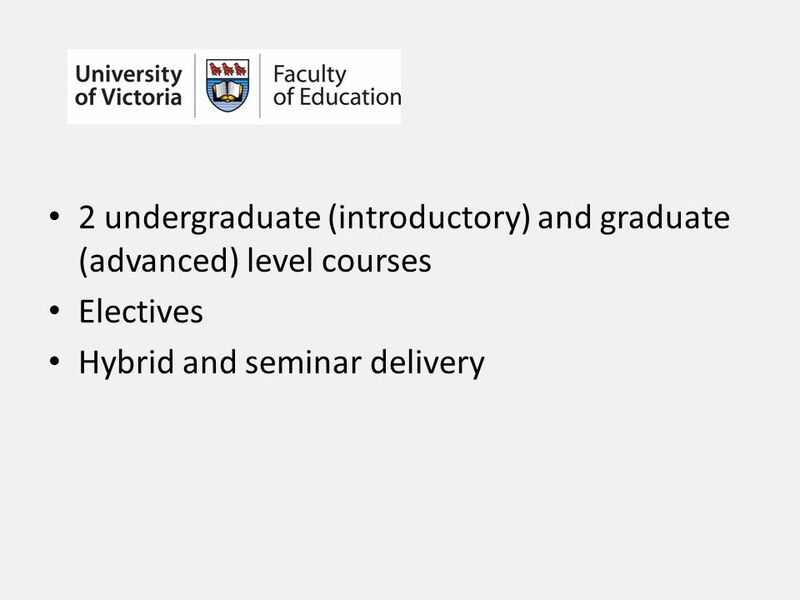 What standards or guidelines are used to guide course development? Consistency? 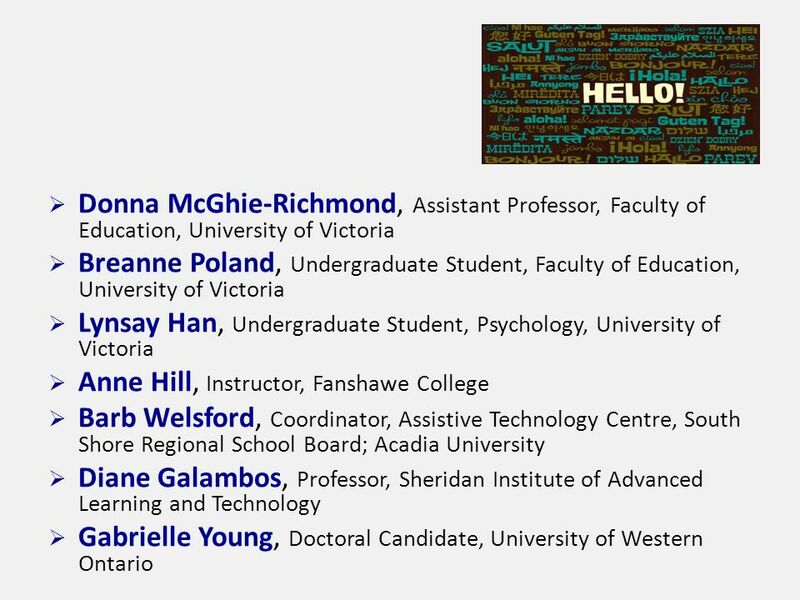 What knowledge, understandings, and competencies are being developed? 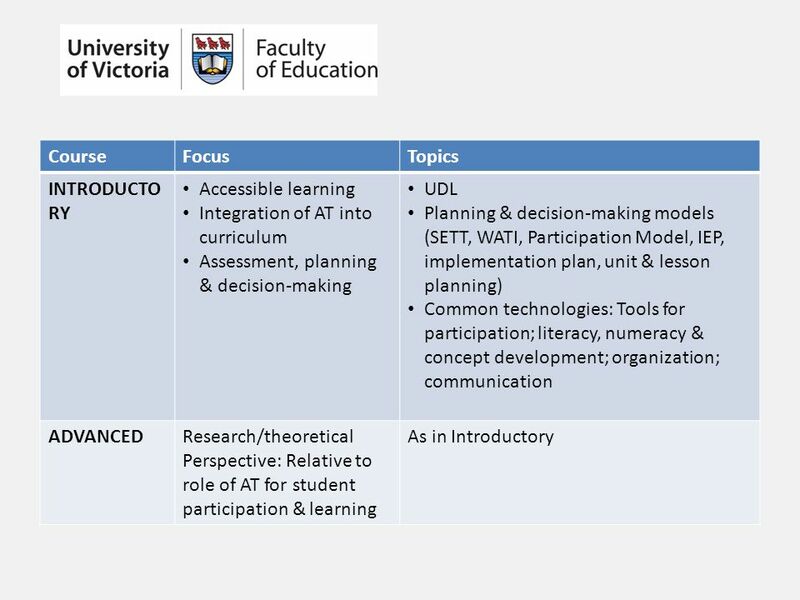 What instructional models are followed? 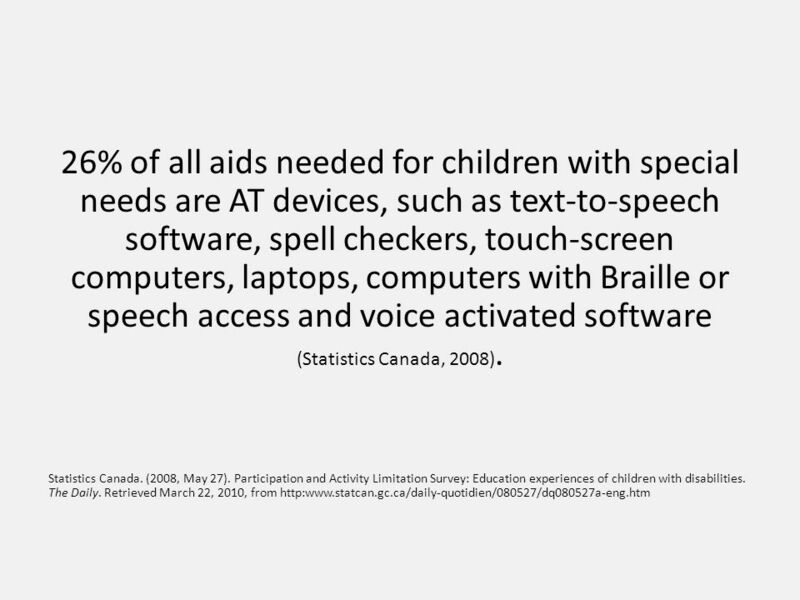 What is effective? 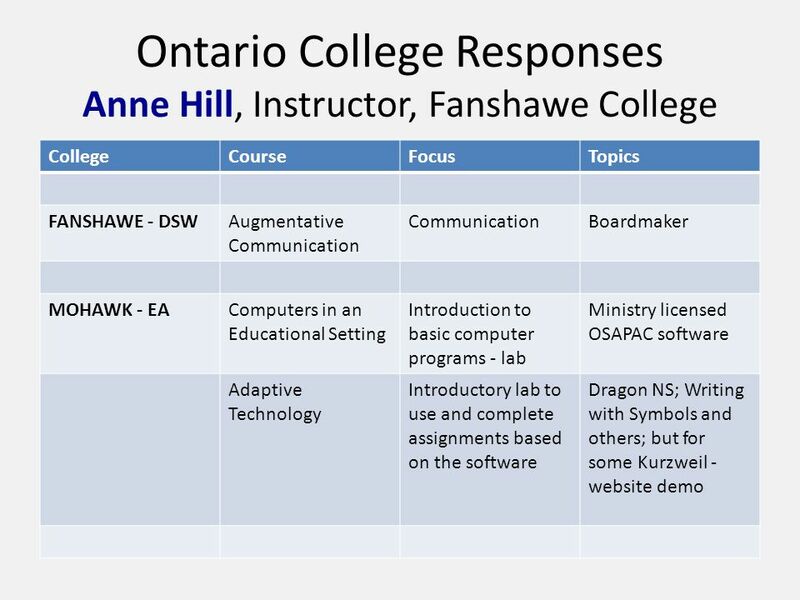 (Stand alone courses, infusion) What are the opportunities for practice? 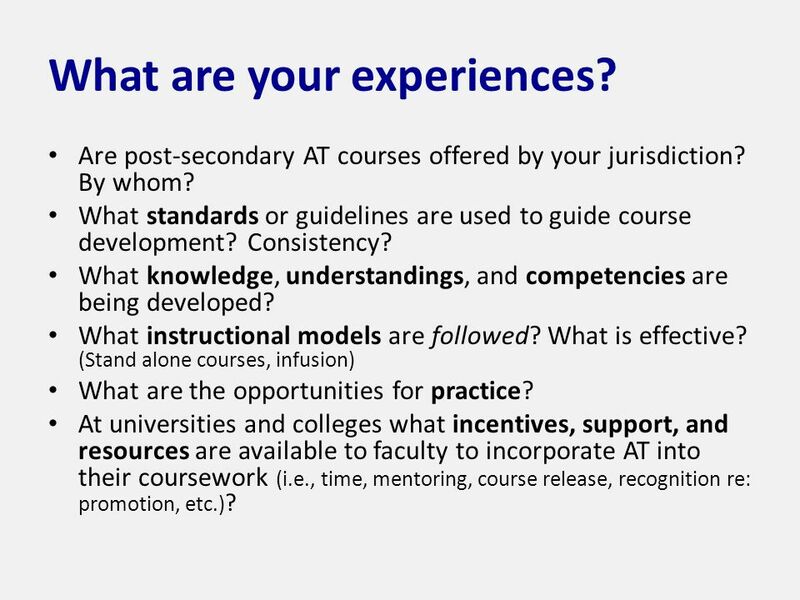 At universities and colleges what incentives, support, and resources are available to faculty to incorporate AT into their coursework (i.e., time, mentoring, course release, recognition re: promotion, etc.) ? 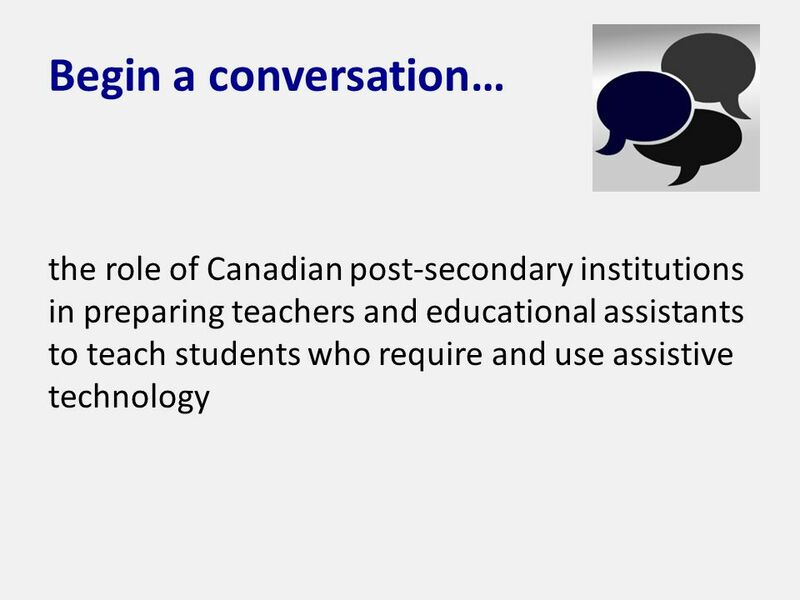 Download ppt "Assistive Technology: Exploring the Experiences & Perspectives of Canadian Post-Secondary Institutions 2010 Bridges to Learning Conference May 14-15, 2010." 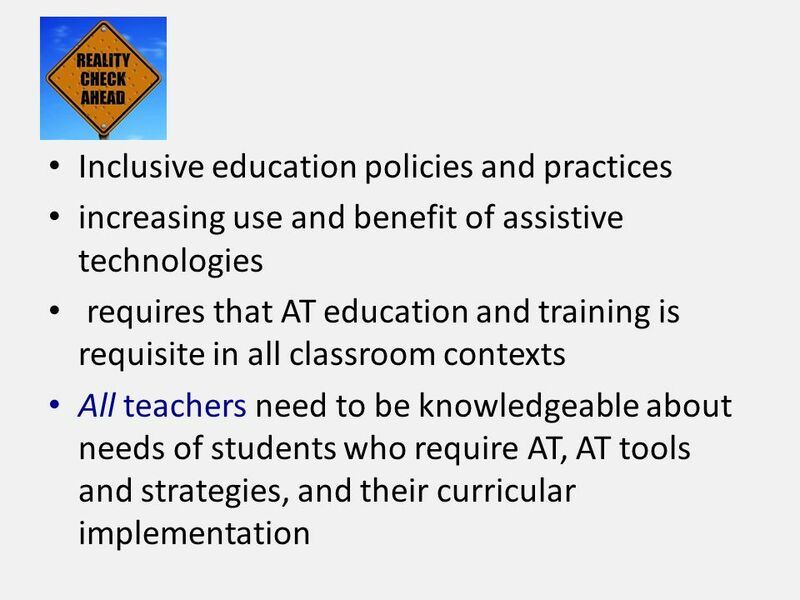 Integrating Developmental Assistive Technology Education Into Special Education Programs At East Carolina University Dr. Melissa Engleman Professor, Special. 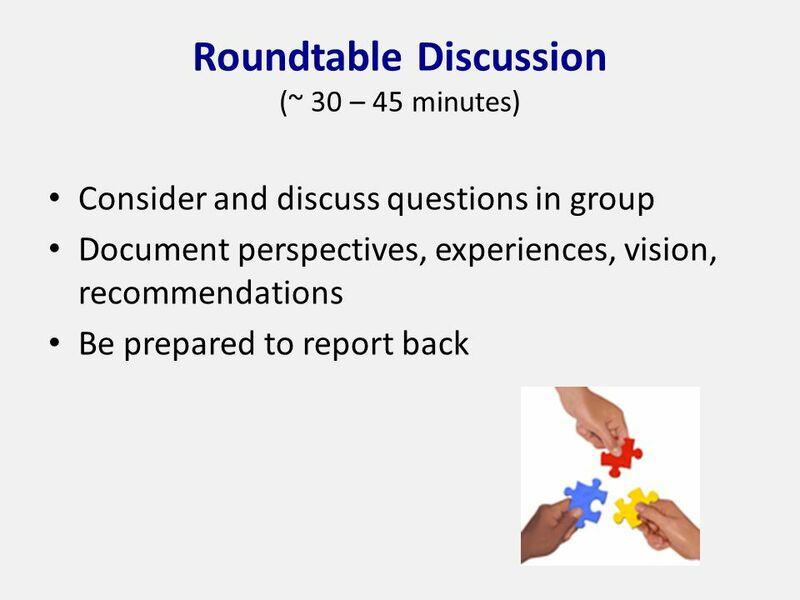 The Common Core State Standards: Opportunities and Challenges for the Mathematical Education of Teachers. SPECIAL EDUCATION IN THE PUBLIC SCHOOL SYSTEM By: Ashlei Wrinkles. 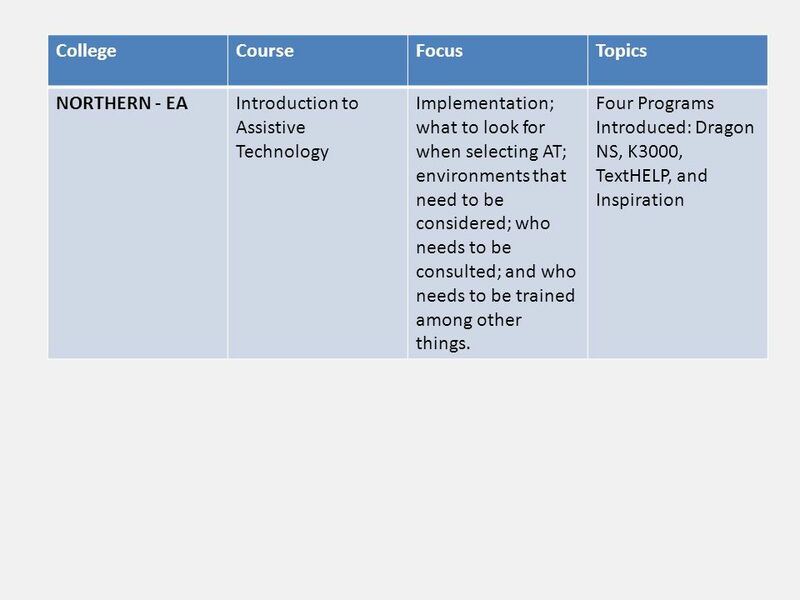 KATARIN MACLEOD Katarin MacLeod NUMERACY TECHNOLOGYTECHNOLOGY LITERACY SERVICE APPLICATION AP & IB Mathematics. 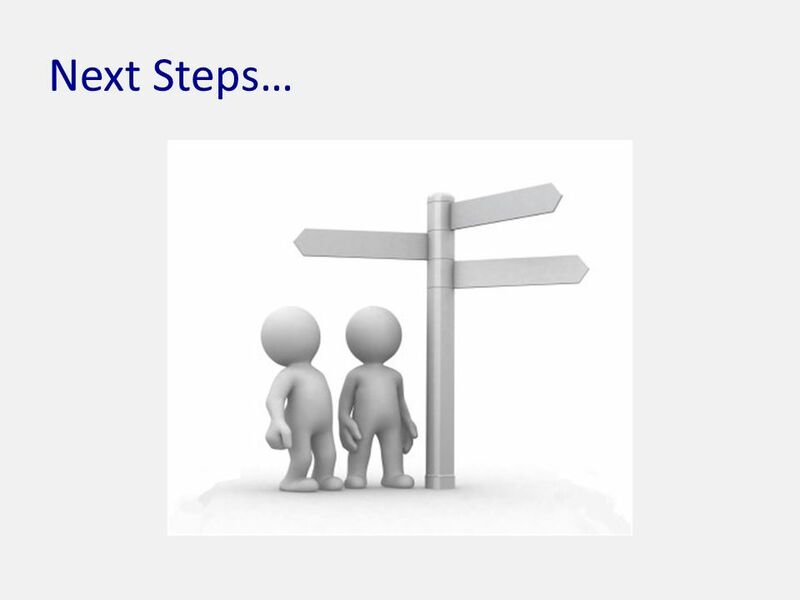 Orientation to the Planning 10 IRP  How does Planning 10 fit into the 2004 Graduation Program? 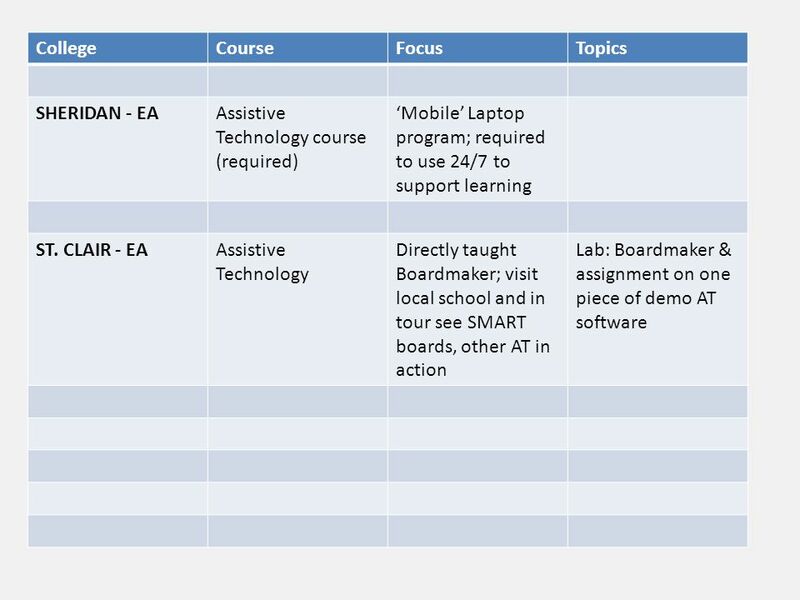  How was Planning 10 developed?  What’s the difference. 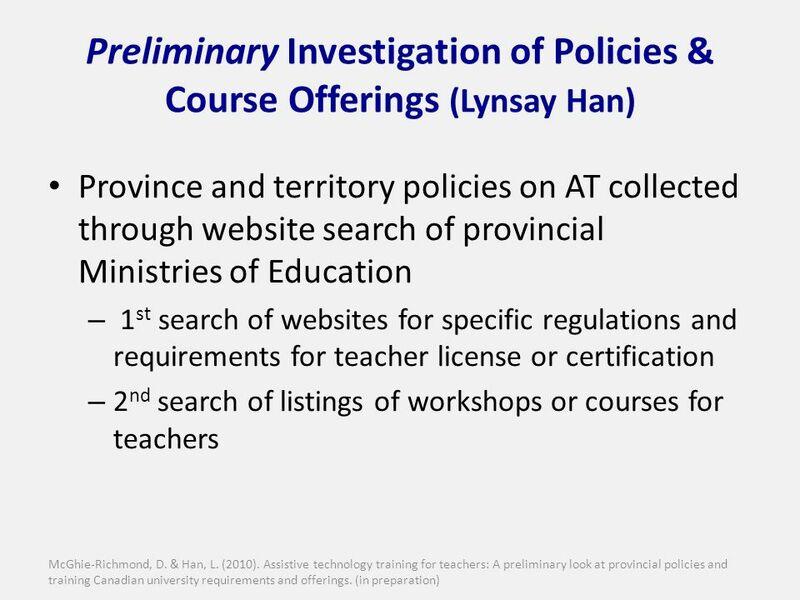 Alberta’s Kindergarten to Grade 12 Education System with Waldemar Riemer. 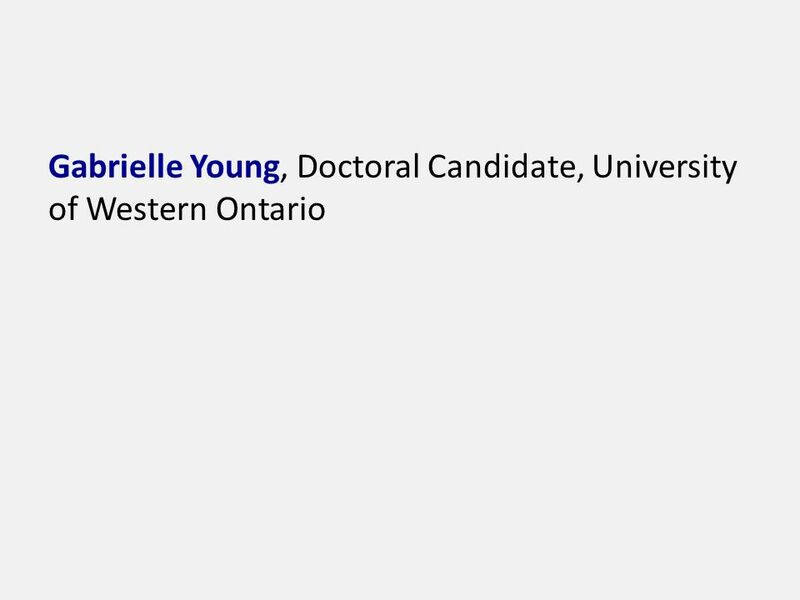 CANADIAN RESEARCH CENTRE ON INCLUSIVE EDUCATION National Director: Dr. Jacqueline Specht University of Western Ontario Faculty of Education Visit us at.